Sam Lipshitz and Larry Hirsch BOTH win a free shabbat in camp! Over the past 6 weeks, we have been in the midst of a contest specifically for alumni. The task was to submit a favorite memory to our alumni page.  The prize, a free shabbat in camp for you and your family. “The year was about 1985, and Rabbi Kushner had recruited some twenty kids from Mexico for Moshava. They had arrived with a translator. Friday afternoon, I had just finished jogging, and was about to enter the doctor’s trailer to get ready for Shabbos, when Moish ran over (from his neighboring trailer) and said: “I put one of the Mexican kids on your bed, he’s had a stomach-ache all day”. I went inside, to find a 12-year-old writhing in pain on my bed-with no translator, and my Spanish in nil. Examination revealed the boy needed immediate medical attention that the camp could not provide. I ran to Moish and told him that we had to go to Oshkosh Hospital quick, before Shabbos. When we got there, there was a sign at the entrance: “On-call Doctor, Pedro Gonzalez”. I told him :”Great, at least you can speak Spanish with the kid”. He laughed: “You’re from the Jewish camp, what do you need Spanish-translation for; you need someone who speaks Hebrew!”. In any case, he said that Oshkosh couldn’t help us, we needed the facilities in Nina. We drove like crazy back to the camp, and while Moish filled his old station-wagon with food for two for Shabbos, I ran to find long-time nurse Rosalie Novick. She and I looked up the kid’s medical records, and to our horror, Joseph Goldberg’s parents hadn’t signed the medical authorization. We called them in Mexico City, and told them to call Nina. Then Moish sped off, with only one hour till the real time of Shabbos. I didn’t hear from Moish after Shabbos, and it wasn’t till Sunday afternoon that Moish showed up again. His speeding had attracted Wisconsin’s finest, but when they pulled Moish over and found out the reason that he was speeding, the state-trooper escorted “The Rabbi” to Nina’s Hospital. There, Joseph had surgery and was OK. But Shabbos morning Moish got a shock when two sets of “parents” showed up. It turns out that I hadn’t noticed that we had two Joseph Goldberg’s from Mexico City, first-cousins named after the same grandfather. Min Hashamayim, by pure luck, I had called the right set of parents. But they weren’t sure that I had called the right parents, so, scared over the boy’s fate, all four of them flew up Friday. Landing at O’Hare, they all took a cab (for the then exorbitant price of $450) to Nina, Wisconsin. With Joseph OK, they all spent a nice Shabbos till the long afternoon. Please continue to share your memories with us on our alumni page https://moshavawildrose.org/alumni/.